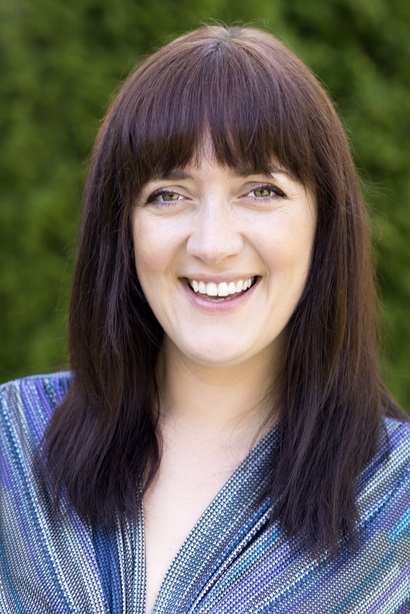 Jolanta Burke is a Positive Psychologist, who works as a Senior Lecturer and Associate Leader of the MAPPCP programme at University of East London and also has her own consultancy business. Her enthusiasm and passion for her work is infectious. She shares how she dealt with burn-out during her PhD, and having to find a place of harmonious rather than obsessive passion, and how this influences her work supervising students now. She also shares her experiences working in business contexts as a consultant, in creating positive workplaces and how she thinks we could better do this in academia. And she shares her passion for making a better world through communicating our research to people and to help people. 01:50 Start: Background working in managerial roles in business for many years, getting interested in the information given to trainers but recognised mixed views, saying ‘research says’ but no basis more assumptions. Yale study about goal setting, that everyone talks about but was never actually done. This inspired her to look at research, did two Masters, and fell in love with Positive Psychology. Left job to do full time PhD in Trinity. Working in academia since then and absolutely love it. 5:12 First Masters in learning and development, hated psychology after bachelors, but by end of Masters missed psychology and came across positive psychology and did another Masters in positive psychology, looking at what’s right with people, and using strengths to live a better life. Crucial in a work context. 7:54 Biggest challenges coming back to study after being in work – taking ages to understand how to carry out research. Now puts so much effort into explaining the process to students and giving them the bigger picture. Talks about going step by step through the process of designing research with them, setting up expectations between meetings, keeping in touch, loving working with students because “I know I’m making a difference in their lives”, giving feedback to students whenever they need it. 11:40 Challenging at times to “My work is part of my life”. Working from home office most of the time. “My life is my work… but I manage it in a way that allows me take a break.” Taking time out throughout the day. Actually doesn’t know how many hours she works. 15:52 Different strategies after the month off: to do with flow, being engaged, driven by pleasure for reading and learning; finding something physical; office only for work, reading one ‘silly book’ per month and to force this set up a book club, the group forces her to read; going hiking especially when times are hectic; having to see friends twice a week. Calendar goes out months in advance. Makes sure every week has something scheduled. And there are days when needs to close off emails but usually fills days with blocks. 22:55 Supervisor understanding of need for time off. Tries to put the same into work with her students. Gives example of student who was overwhelmed and giving her extra support. Could have accessed university support structures eg counselling but didn’t want to “send her off’. 25:45 Recent article about PhD students and stress. Are counselling services the right avenue? Has come across a good few people who don’t want any more to do with the topic of their PhD, one in particular standing out, completely burnt out. We’re getting something wrong, we’re putting too much pressure on people. If she hadn’t looked after herself during her own PhD, this is where she would have ended up. Awareness of obsessive vs harmonious passion made all the difference. 27:51 Supervisor still said she had to push herself, live and breathe topic, but didn’t know the sort of person she was. One of the worst pieces of advice she could have got. So when her students email her now saying they are overwhelmed she says to them “That is absolutely no problem. Go and live your life. If you need to take a break, take a break. … it’s not the be all and end all.” Even if time is running out, there are always ways to work around this. Gives example of a particular student and how she approached this with her. 29:35 Helping people get the perspective, in the moment merit versus distinction might seem a big trade-off but cost can be too high. Also points to importance for us as supervisors to get to know who we’re working with, where they are coming from. The most crucial thing in the first meeting, “Why are you doing this, what do you want to get out of it”. Might not work for all students though. Some might still need some pushing along. When you get to know them and their motivations, you can tweak the way you talk to them to connect to this. Gives some examples. Getting to know the students is crucial and knowing when to push and when not to push. 33:08 Also has students who are a puzzle, trying hard to find a way. Transparency great way to grow. Great to name it if you don’t think there is a connection. 34:10 How does working from a home office go, does she miss the social aspects? No and a puzzle for her too. Actually more of an introvert. Gets tired with too many people around her. Shares an office with two other people. Hard to concentrate, Never effective when there. Goes home to do the work. Even in business always had own office, with peace and quiet. Doesn’t feel alone. Has lots of meetings. 35:30 Day is very structured. In the morning never have meetings. Meetings arranged for the afternoon. Gets up does writing and jobs that need attention. Gets up really early in the morning. Loads of energy. Has a morning routine. Doesn’t switch on email until around 9am. Diary is her life. Most of the time leaves email to the afternoon. 37:55 Always interested in workplace and positive psychology in the workplace. Masters 10 years ago while working full time. Very intense. In the company, she was an internal consultant with opportunities to try things in the company. Still consulting with businesses. Does part-time lecturing to have time to do this work with businesses. Business School in Trinity College asked her to deliver talks to MBA students and this led to other course teaching, leading to developing a positive organisation module. And this led to writing a book on applying positive psychology to business because she couldn’t a book on the topic to give to her students. Now almost finished the book. Will be published in May next year. 41:30 What is a positive organisation and intervention? Intervention is like an exercise or activity to help people live a good life. Gives an example of an intervention in a company helping their sales people, teaching them optimism to retrain their thought (but without using the terms optimism or positive psychology etc). Three months later market share had increased by 11%. And clients were mentioning spontaneously about how positive the team were. 44:55 Not about creating happy workers. But can create an environment of transparency, coming from leaders, recruiting people who are great at what they do and will connect to others. Positive organisations understand the importance of working on people’s strengths, on creating an environment that has a balance of positive emotions. Unfortunately the ‘positive’ in the positive psychology can lead people to think it is just about happiness. It’s not. Positive organisations are about high performance, getting the best out of people, and people getting the best out of each other. 47:10 Comparing business and academic department/university as organisations – very different. Own views, in business too focussed on money. Not idealistic enough. In academia, reversed, all about ideas but not enough thinking about money. Would love a happy balance. Academics need to understand they don’t need to work in silos. In business you work in teams. In academia, bright ideas, write a book, my idea is best, rather than sitting around a table to discuss how to help others and also make money and create happier people outside. We do research to help others, not just because we want to publish a paper. 49:30 Pressure of publishing. Every time she has a review coming up, panics, and quickly finishes a paper she has in progress. But she loves doing so many other things. Would prefer to write a book to help people love a good life than write an academic paper. Conflict. But maybe when more experienced this is clearer. Writing books to go to different groups of people. People don’t read academic books. 54:15 Is public engagement valued in Psychology? Recognised but looked upon as the worst version of what you can write. But still appreciated. Need to write books. Part of evaluation is needing to have books or papers published. But big pressure on papers. Thinks books for the public will become more recognised otherwise what are we doing this for? Allowing for diversity. 56:50 What could each of us do to create a better workplace in academia? Stop working in silos, create teams, not just in one department but creating working teams to make a difference. Play to our strengths and teams would allow for people to use complementary strengths to add value for one another and for people. And need to know what our strengths are. In business, create teams on basis of someone good on one basis and another person on another, but we don’t do this in academia. More than character strengths, others are more focussed on preference for working in particular ways. Place for all of them. Also a place for just having a conversation of what are my strengths. 1:01:15 When doing her PhD, did an additional inter-disciplinary thing with PhD students from different disciplines/universities coming together for an entrepreneurial degree, to think about how to create a business out of their PhD topics. Talks about how the lecturer got them working together. Project work “How will I work with engineers? I don’t think like them!” Had conflict, it was brilliant. Could we introduce something like this from academics? Teams wanting to improve their work together. Developing our own personal skills for working together. 1:04:02 Final thoughts. Really important to life your life to the full. If work gives you satisfaction make it an integral part of your life. Always make sure no matter how much passion you have for things you always need to have balance and have passion for other things as well. Harmonious passion.